If you’re looking for an unforgettable all-inclusive experience, opt for the best of the best. Everything you could want under the sun is right in front of you, exceeding expectations and going the extra mile to make your experience one of a lifetime. You won’t need to worry about hidden fees or charges that notoriously pop-up at other all-inclusive properties. Sandals and Beaches Resorts are the only Luxury-Included resorts in the Caribbean. Each has its own distinct style and feel that comes along with its destination. We’ll be sure to find the location that suits your interests best. Sandals Resorts are designed for couples only with romance in mind. Fall in love all over again at their resorts in Jamaica, Antigua, Saint Lucia, Barbados, Grenada and the Bahamas. From the moment you arrive every detail is taken care of by dedicated staff – always with a smile on their faces – so you can enjoy this magical vacation with your special someone. Whether you’re on a honeymoon, celebrating an anniversary or just getting away from it all, romance is around every corner at Sandals. Beaches Resorts were created after couples staying at the highly-awarded Sandals Resorts requested to have a similar experience they could share with their families. Extra amenities can be found at each of their properties on Jamaica and Turks & Caicos that cater to kids of all ages. From couples to friends, groups and families, reunions and meetings…your needs are met no matter what brings you to their resorts. All meals, snacks, fine dining and top-shelf drinks, luxurious accommodations, motorized and non-motorized water sports, land sports, golf, Wi-Fi in public areas and all room categories, scuba diving (if certified), exchange privileges, transfers between the resort and airport, and all tips, gratuities and hotel taxes. Spa treatments, optional tours, golf caddies (mandatory for golfers), transportation outside of complimentary airport/resort transfers, phone calls, SCUBA certification and refresh courses, and medical assistance that cannot be fulfilled by the complimentary nurse services. Each Beaches Resort has a Kids Club that provides certified nannies during its hours of operation. There is no additional cost for the Club, and infants to teens are welcome for as many visits as they’d like. Nanny services outside of Club hours can be arranged for an additional hourly cost. Nannies are also available for children with special needs upon request. Adjoining rooms can be requested at Beaches, and they always do their best to fulfill your accommodation needs. These requests are fulfilled on a first-come, first-serve basis and room availability. Adjoining rooms cannot be guaranteed. How are infants accommodated at Beaches? Beaches strives to cater the needs of children of all ages. Cribs can be added to your room upon request, strollers are available to rent, and items such as diapers and formula can be purchased at each property’s gift shop. Nanny services are also available through the Kids Club and outside of its operating hours if needed. Can food allergies or special diet requirements be accommodated? Absolutely. Sandals and Beaches representatives can provide alternative menus to meet your needs and can even arrange for you to speak with the Head Chef before you dine. Will I need to pay extra for specialty dining or make reservations? Nope! Each gourmet restaurant at any of the properties is included in your stay. Whether you’re dining as a couple or with the whole family, no reservations are needed at any time. Everything in your dining experience-from premium spirits to gratuity-is already included. Is medical assistance available at the resort? 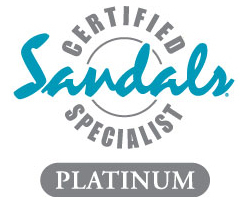 Yes, all Sandals and Beaches Resorts have a Registered Nurse that holds office hours each day. Services performed by the nurse are complimentary. Medications and Doctor consultations will incur an additional charge. Are tips really included or should I still tip staff members at will? Tipping is actually not allowed at Sandals or Beaches – which is huge! The only employees allowed to accept tips are the Butlers. We still recommend tipping drivers of transfers, tour guides and any other non-Sandals or Beaches employees who help you out during your trip. What is the food like at the resort? At a Sandals or Beaches resort, you will get to experience Discovery Dining©. This program allows you the ability to enjoy a different, new and exciting restaurant for each meal. With as many as 16 restaurants to choose from at just one resort, you’re free to discover an impressive array of cuisine, ranging from the freshest seafood, regional Italian, Eastern Indian, Thai, Sushi, French Haute Cuisine, Southwestern, Mediterranean Rim, British Pub, Caribbean and even a decadent French Pâtisserie and Crêperie. Special dietary requests or limitations can be accommodated easily. Does booking with a travel agent get me the same rate as booking directly through Sandals or Beaches? Lisa Hoppe Travel Consulting can match any promotions and pricing Sandals and Beaches advertises on their website. 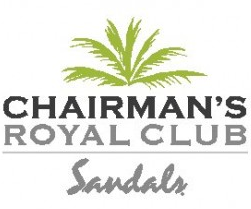 Due to my membership in the Chairman’s Royal Club, I can VIP you with resort management and request any additional amenities on your behalf.